Affordable and Professional Range Oven, Rayburn and Aga Oven Cleaning in Nottingham. When summer's over and your BBQ is filthy, give us a call for professional BBQ cleaning. The Oven Cleaning Specialists Covering Nottingham, Beeston, Chilwell and surrounding areas. Thanks for visiting Nottingham Oven Cleaners for professional cleaning of ovens in the Nottingham area. We are a family run cooker cleaning company covering the Nottingham area including Beeston, Chilwell, Attenborough, Bramcote, Wollaton, Stapleford, Sandiacre, Toton, Long Eaton, Breaston, Clifton, Ruddington, Keyworth, West Bridgeford, Colwick, Radcliff On Trent, Bingham, Cotgrave, Mapperley, Arnold, Hucknall and Strelly. Can you afford for your oven to be out of action? It’s a well-known fact that commercial ovens last longer when part of a regular cleaning schedule. That’s where Nottingham Oven Cleaning comes in, we offer a fully inclusive deep oven clean to keep your commercial cooker in tip top shape. Our oven cleaners service uses specially developed equipment and cleaning products that ensure first class results every time. These include a custom built van mounted heated tank, where all removable parts of the oven are cleaned. No caustic chemicals are used in the cleaning process. We only use eco-friendly, biodegradable products, specifically developed for the process, that are 100% safe with no fumes or odours, and your oven is ready to use as soon as we finish. 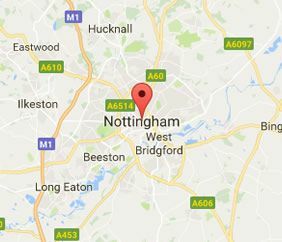 Based in Nottingham, we cover Nottingham and the surrounding areas of Beeston, Chilwell. We are a local oven cleaning company with a growing reputation for quality, value, professionalism and outstanding customer care. Fully trained by the Dirtbusters Network you can be assured of fantastic results every time. Get a free quote today. Our oven cleaning prices are always competitive and offer great value for money. We'll have your oven looking as good as new in no time so why not give us a call today on 07760 281 510 / 0115 772 2396. As a family run business we pride ourselves on offering a reliable, affordable & fully insured cooker cleaners in the Nottingham area including Beeston, Chilwell, Attenborough, Bramcote, Wollaton, Stapleford, Sandiacre, Toton, Long Eaton, Breaston, Clifton, Ruddington, Keyworth, West Bridgeford, Colwick, Radcliff On Trent, Bingham, Cotgrave, Mapperley, Arnold, Hucknall and Strelly. Get an oven cleaning quote online or call 07760 281 510 / 0115 772 2396 for an instant cooker cleaning quote. If you are looking for professional, fully insured and reliable oven cleaners in the Nottingham area contact Nottingham Oven Cleaning today!